The first ever Venturefest South West was held last week at Sandy Park, the home of Exeter Chiefs, and the sellout crowd were treated to a packed programme. The first ever Venturefest South West was held last week at Sandy Park, the home of Exeter Chiefs, and the sellout crowd were treated to a packed programme. There won’t be many people who attended and were not impressed by the innovators, speakers and pitchers they saw. It was a great event and the Formation Zone team were delighted to be able to attend and talk to so many fascinating people. In particular, the businesses taking part in Pitchfest were doing some really exciting things, but the best thing about the event was getting to see the hard work of our clients pay off. TruVision VR and So Good Studios were exhibitors on the day and they attracted a lot of interest. As well as exhibiting, Connor from TruVision took part in a Q&A before the event and So Good teamed up with another FZ client, Sizeable Games, to run Games For Better, a game jam focusing on antibiotic resistance awareness. On top of all of that, Jack Gill of So Good Studios led a session on the Games For Better game jam which included yet another FZ client, Questionable Quality, presenting their game to the audience. 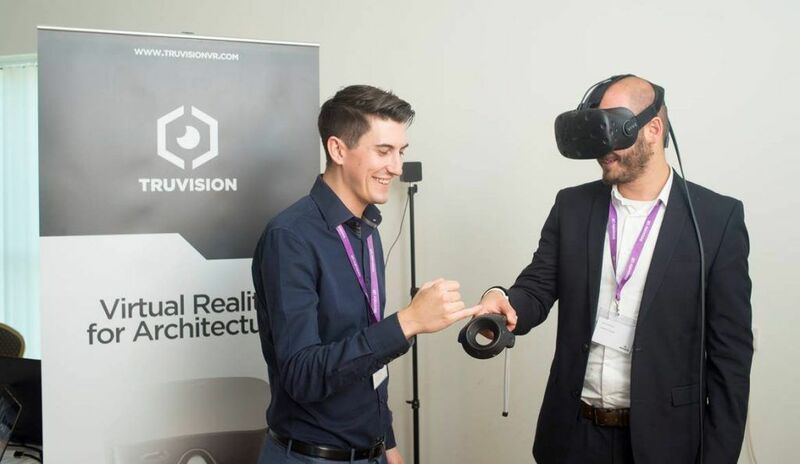 And then to round everything off, we were treated to footage of TruVision showing off their virtual reality for architecture software on ITV news! The Venturefest South West team did a brilliant job of putting the event together and we’re already looking forward to finding out what they have in store for us next time!